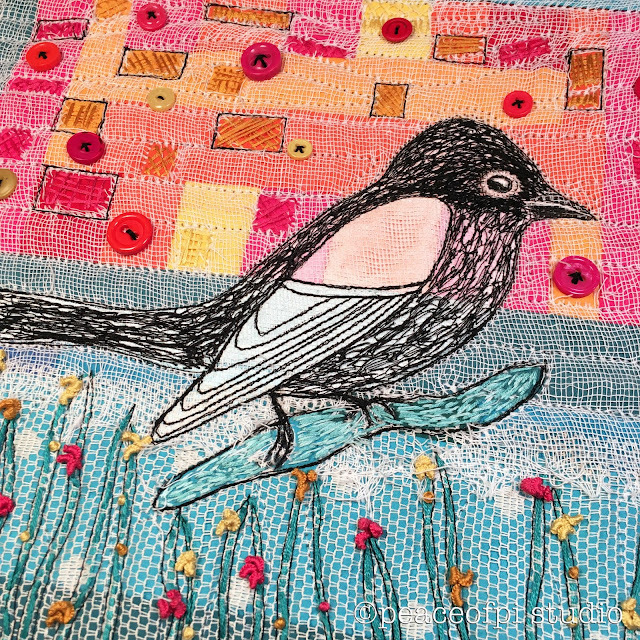 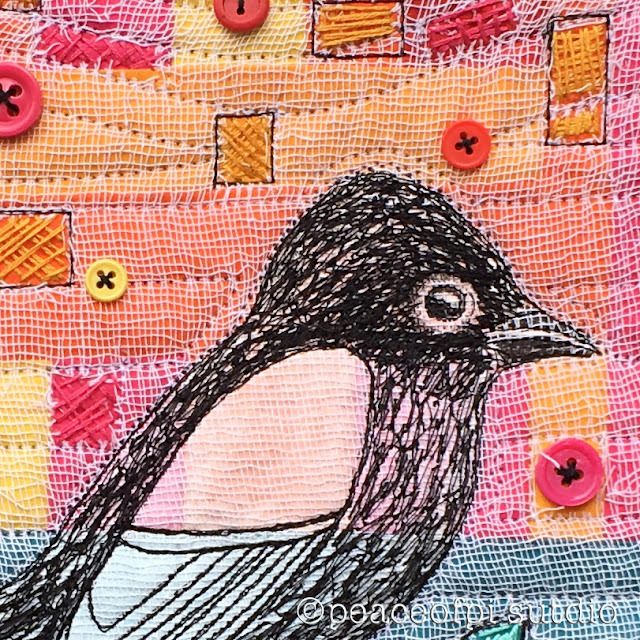 The blackbird is inspired by a black phoebe bird, with the stitching loose and freeform. 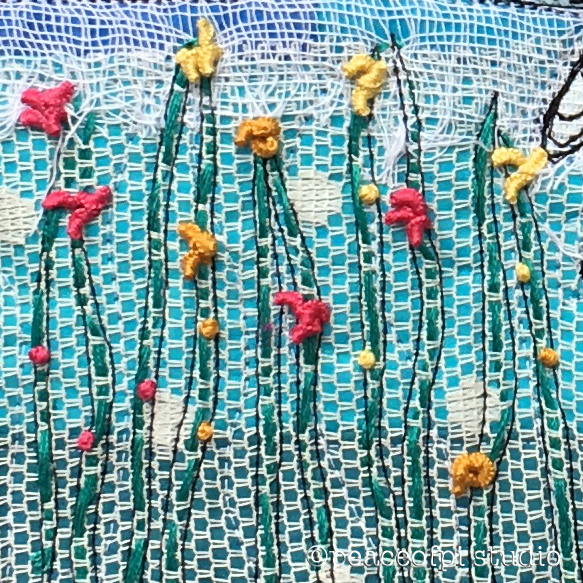 The flowers are created using an embroidery stitch called the drizzle stitch, which creates a textured curly petal. 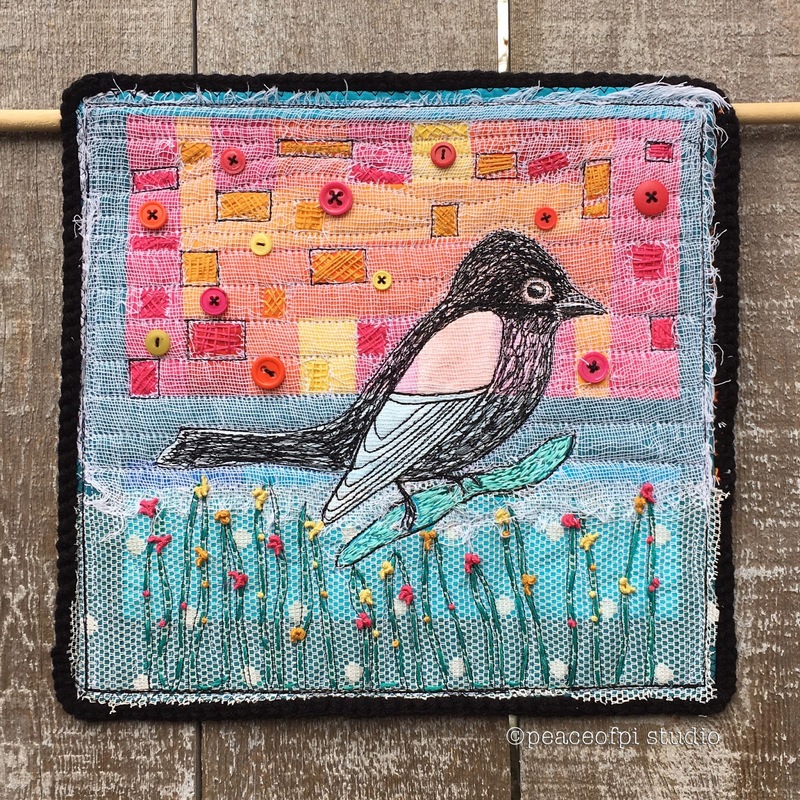 Overall, this quilt is informal, freeform, and very Folk Art.